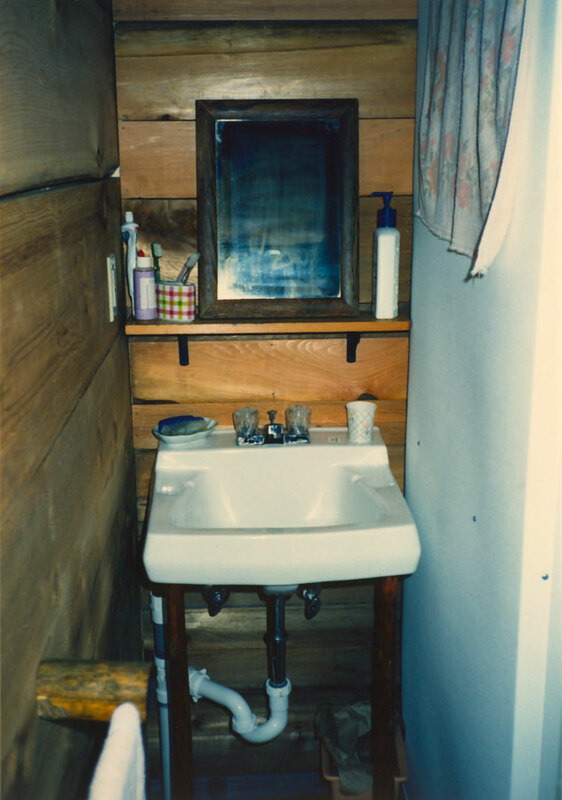 The bathroom in Cabin No.2 has a washbasin, small 2x2 shower stall, and composting toilet (not shown). The walls are made from western cedar. 1990, scanned color print, 3 x 5 in. (7.62 x 12.7 cm). Ozark Series. © 2008 by Allen C. Benson.